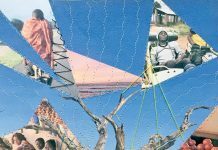 “Who am I?” is a technique offered to the seekers of consciousness initiated by one the most influential spiritual masters of the 20th Century. It is a call to look inward and inquire about the nature of who we are. By practicing this we also become more aware of our relationship to the world around us. When asked “Who are you?” local Danielle Katz stopped to digest the question. “I am a total lover of flowing water and water falls,” she says. 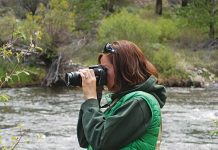 Danielle grew up on the river and has been guiding since the age of 14. 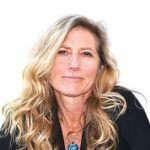 A local massage therapist and healer at Tahoe Yoga and Wellness, Danielle has a gift to help people with her hands. 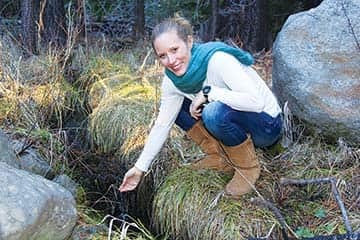 She is also the co-founder of Rivers For Change, a nonprofit made up of a passionate group of river enthusiasts dedicated to changing the way people think about and interact with water. Through adventure, conservation and education the organization works to connect individuals and communities to rivers. It was after a rafting trip down the Mississippi River that Danielle said she had her mind blown open. “I began to view the river from a deeply holistic perspective. You can be a conscious person and not take into account the effects of our watershed and our own relationships to our waterway systems,” she says. She saw firsthand how communities upstream affected those downstream. Captivated by places on the Mississippi where she could outstretch her arms and practically touch the narrow banks to where the river opened at its widest points becoming a life force of transportation and industry. She also saw challenges facing the river, like the runoff from an Iowa pig farmer that ran downstream and contributed to the dead zone in the Gulf. It was during this trip that compelled Danielle to action. She began a campaign in 2011 to travel 12 rivers in 2012 each critically impacted by communities, farms and industries. She explored the stories of various rivers in California. She wanted to know how the Yuba and Feather Rivers flow through the Sacramento and into the Delta, and what occurs during the rivers journey from source to sea. “I wanted to viscerally understand the system and flow of the rivers close to her heart,” she explains. In 2014, American Rivers, a national nonprofit, deemed the San Joaquin River one of the most endangered rivers in the country. John Sutter, a CNN journalist, contacted Rivers For Change to support Sutter’s journey down the river to see the devastation and report on it. “At one point the river runs dry,” Danielle says. She and Sutter hiked the dry riverbed for three days. Rivers for Change educates by holding events like community paddles. One of their biggest events is the California 100, a Paddle Race on the Sacramento River. The organization reaches out to communities to engage and educate people about the issues each river faces. “There are many problems that need to be resolved that are extremely complicated and convoluted and impact California’s waters issues,” Danielle explains. 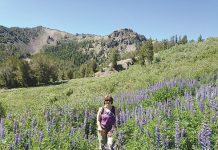 In her many trips down the Lower Yuba, she observed the impact of the Daguerre Dam, an obsolete and out of commission dam that is a potential danger. Danielle says that she is passionate about making a difference. “We need to begin by asking questions, when we turn our water on, where is it coming from? Where is it going? How many gallons do we use each time we use the faucet? And, who is affected by our water usage and how, the downstream neighbor, the farmers, fish, and wildlife?” she asks. The Truckee River flows northeasterly for 121 miles. It is the sole outlet of Lake Tahoe and empties into Pyramid Lake and it is a unique watershed system. Danielle applies the source to sea philosophy to everything in her life. “I use the concept from working on clients and connecting to the flow of energy in their body to exploring a Farm to Table event I attend. I ask questions, ‘What was involved in bringing food to the table?’ I try to examine how everything and everyone I connect and interact with affects each thing I do,” Danielle says. Danielle’s dream is to create an infrastructure to enlist Rivers For Change ambassadors to partner with local nonprofits around the world to spotlight rivers and affect change. For upcoming events and more information, visit riversforchange.org.